Welcome on and all to a new series that I would like to call Wedding Wednesday. Every so often on an wednesday I will be talking about... you guessed it weddings. As I am currently engaged I thought I would bring you guys along the wedding planning. However I do not currently have a date set as of right now, but that is not stopping me at looking, cutting and pasting, and of course pinning. Today we are going to look at a small wedding that took placed a few days ago. Not a whole lot of people knew about it and even less were actually invited. It took placed in the middle of no where very low key, just like the bride and groom themselves. The couple is very down to earth and really are just like you and me. So who may I be talking about, well the only people that would match all of those qualities of course would be the Kim and Kanye! Married in Florence, Italy where they exchanged traditional vows in front of a sky high white flower wall. 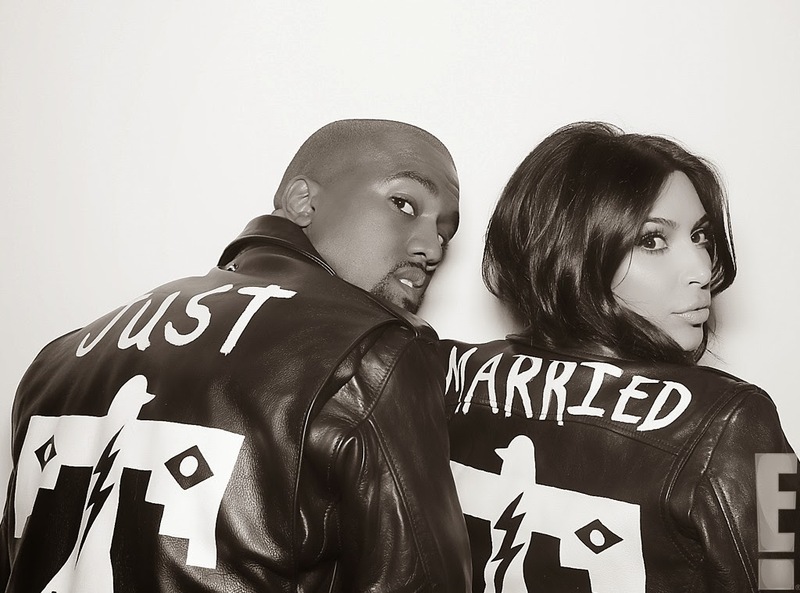 The location was stunning along with Kim and Kanye. Both wearing Givenchy looking very classy and elegant. 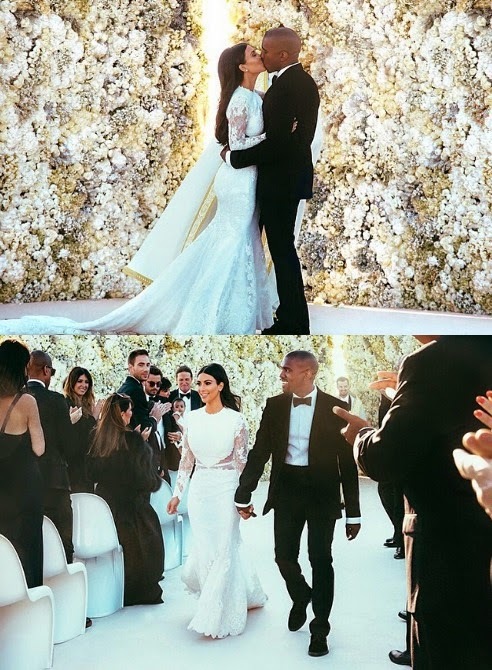 Kim's dress was an white lace Givenchy Haute Couture gown complete with a long silk veil. I am loving everything about there wedding from the decor to the gown to baby North, who was sitting front row with grandma Kris. Congratulations to both of them, I am really holding out for some hope for them!